Need to make sure that the information automatically extracted from your documents was captured accurately? Our NeatVerify service will check the data parsed from your mobile captures, scans, uploaded files, receipts, business cards, and more. The service uses people to review information that has been parsed by Neat and cross references the information with an image of the receipt or document to ensure data is as close to 100% accurate as possible. 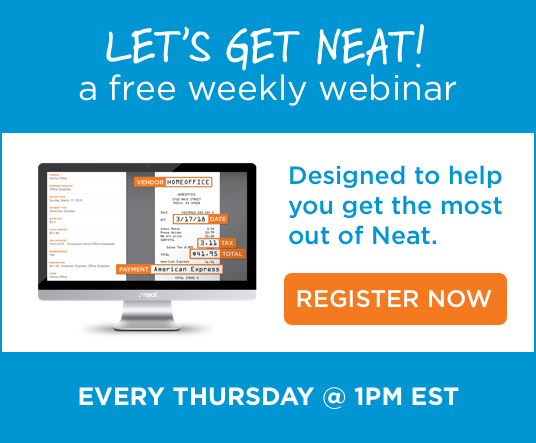 NeatVerify credits are included for free each month with Premium and Business subscription plans. You also have the option to purchase additional credits. You can select which items you want verified….leave the rest as is. That’s Neat!